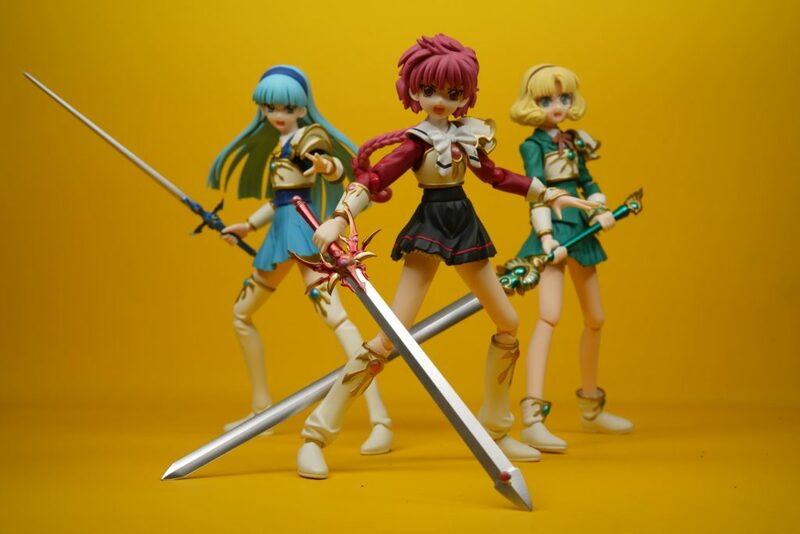 Today’s review will be all about the very meek yet very feisty member of the Magic Knight Rayearth heroine group – Fu Hououji. 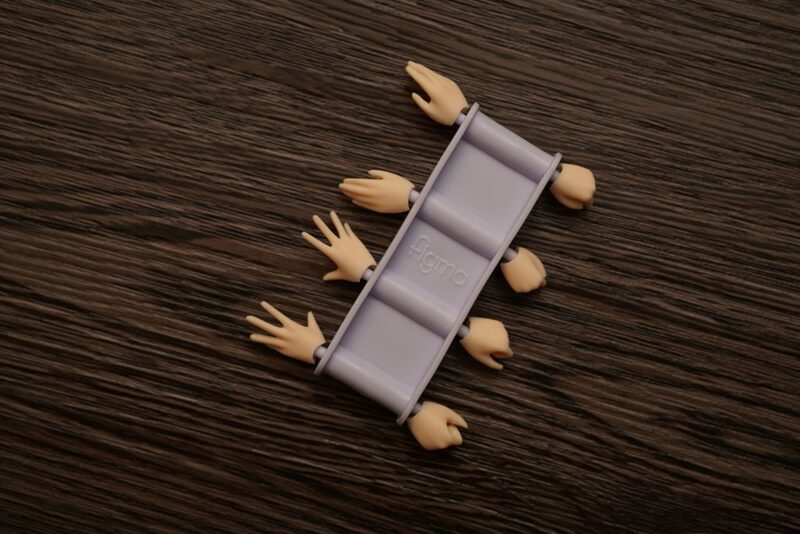 This review is brought to us by our friends from Hubbyte Toy Store. 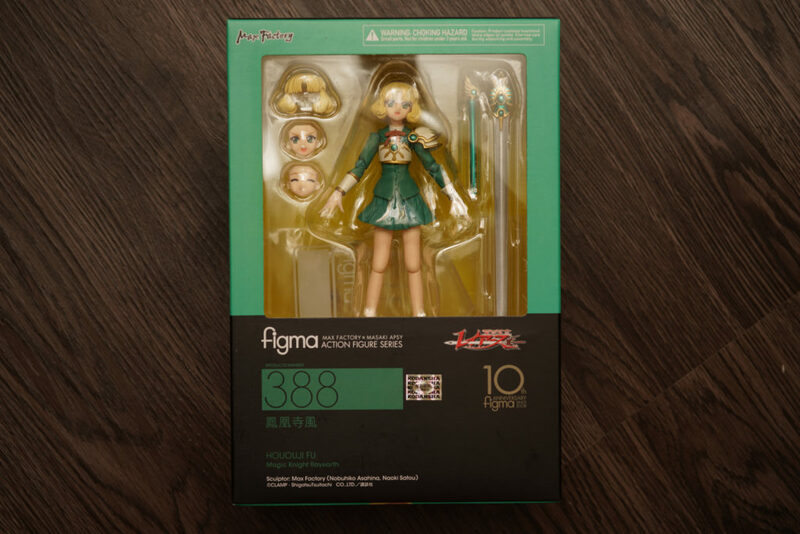 Visit their site to know more about Good Smile Company’s figma and Nendoroid figures. 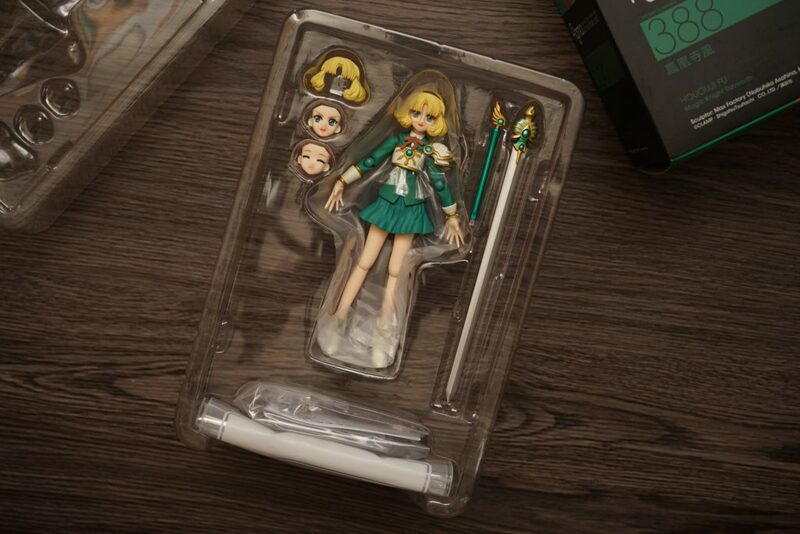 The box design will already give you a hint of the heroine’s costume color palette – green and yellow. They’ve done the same for both Hikaru and Umi‘s boxes. 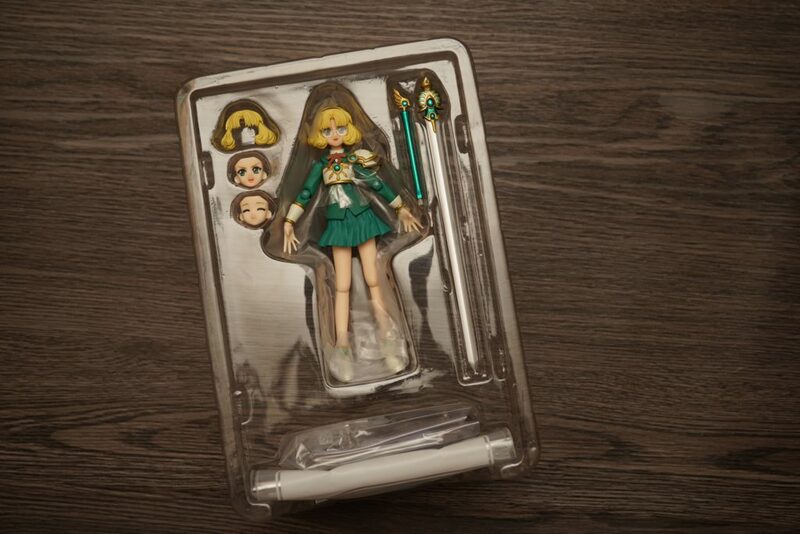 What I liked about the boxes for this set is that when you place them together for display you can see a sense of cohesiveness which is really cool for “OC” collectors like me. 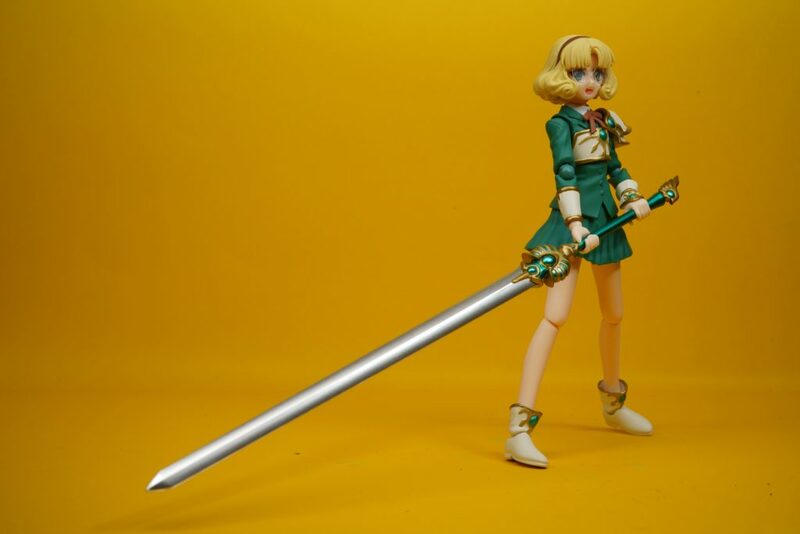 Make sure to buy your figures ONLY from authorized resellers. 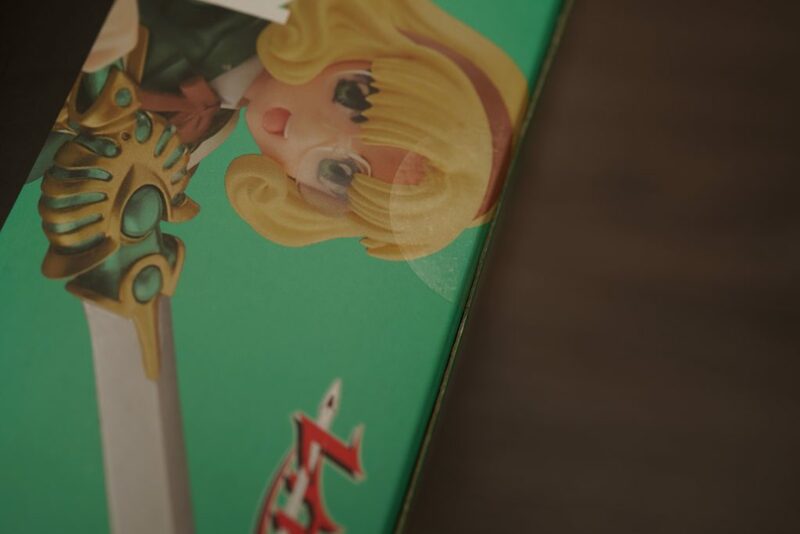 One obvious identifier for genuine figure would be the clear sticker stamp that is already a signature seal from The Good Smile Company. 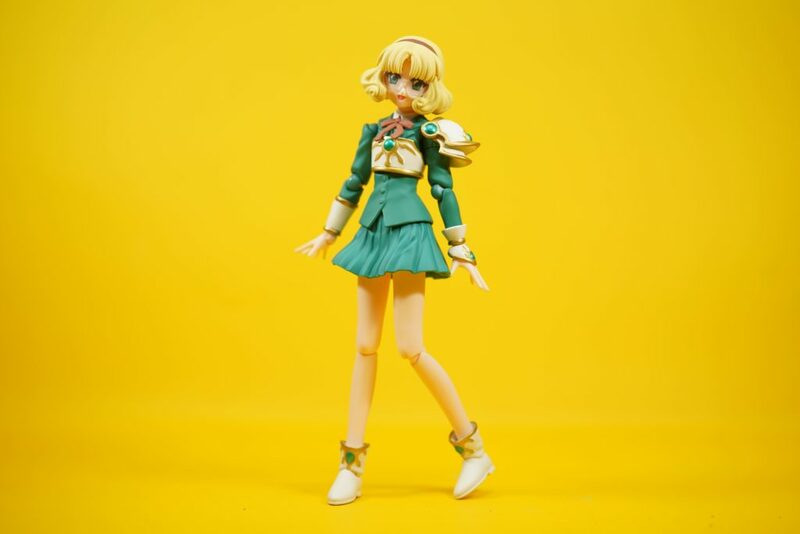 Even from the prototype launch of both Umi and Fu during a toy convention – I already have a bias regarding the quality of figure that the Good Smile Company would produce. To my expectations, they did not disappoint in producing a good quality figure for both Umi and Fu. 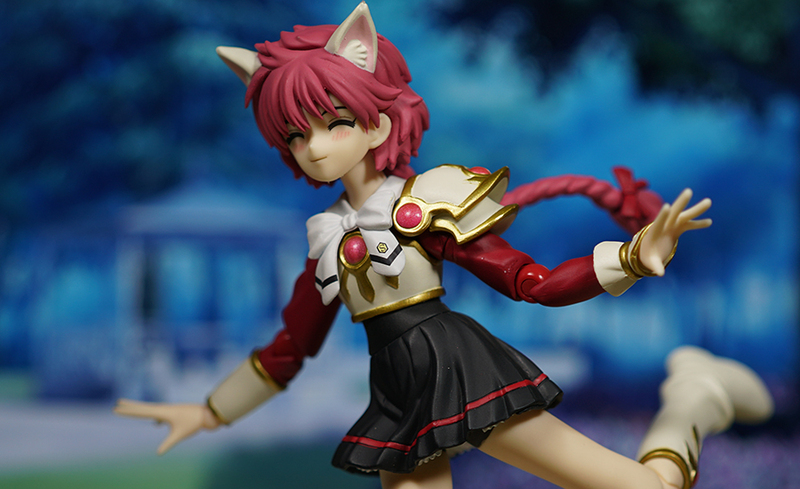 What I really liked about the Fu figure is that it’s very anime accurate. You can see the sense of the character being very meek and shy but at the same she can give you a sense of being a strong heroine. 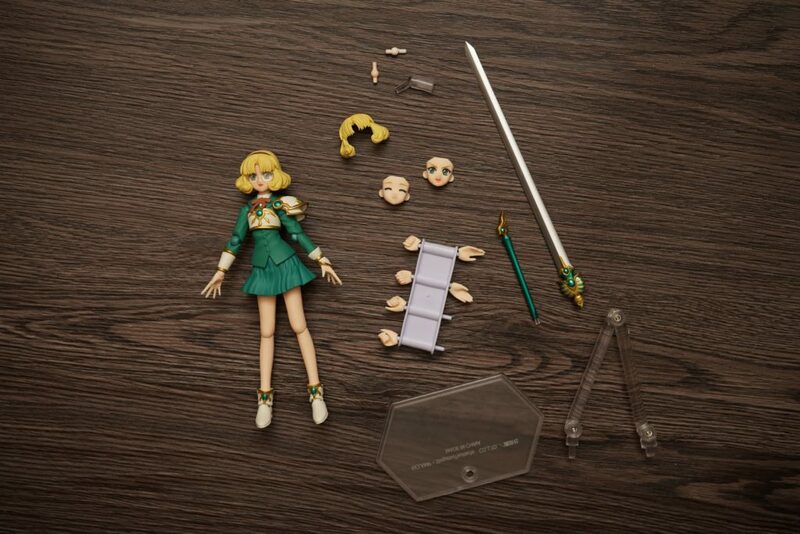 The figure contains an ample amount of accessories from the interchangeable hands down to the standard figma stand and base. 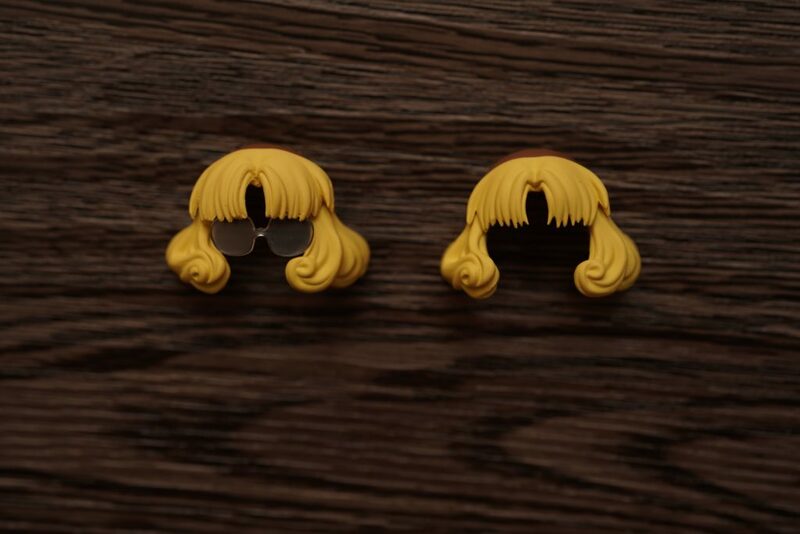 The unique accessory that they’ve added to this figure set would be the interchangeable hair with glasses – a pretty clever way of doing a glass accessory. I think the reason why this is done is because producing a stand alone glasses might be at risk of getting lost because of its size. Again, I have no complains in how they did this – I really liked that they’ve done it this way. 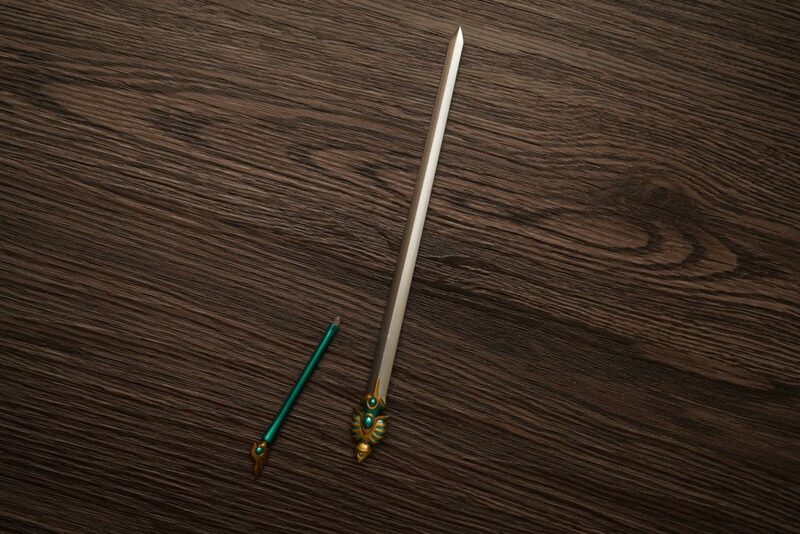 The sword accessory is split into two parts because it’s very long – the handle and the sword’s blade – a good way to minimize the probability of having it being broken. 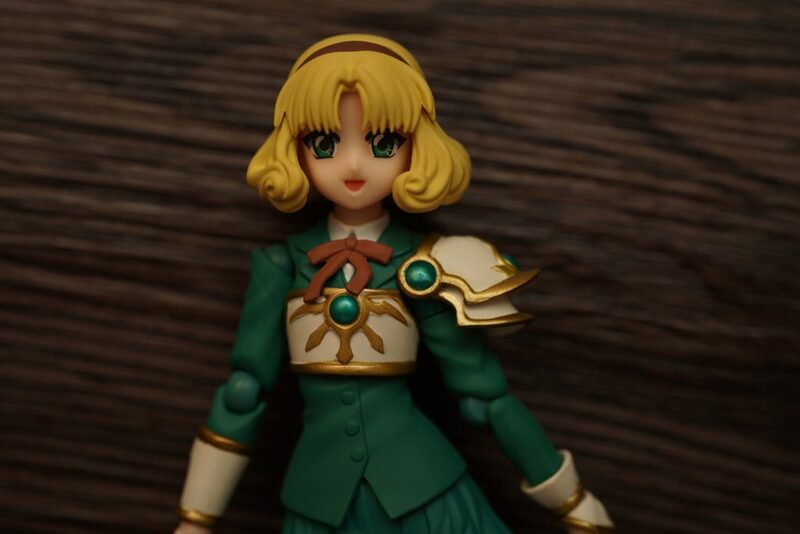 I’ve always been very fond of how The Good Smile Company does their figure articulation – they really make sure that the articulation would fit its figure. 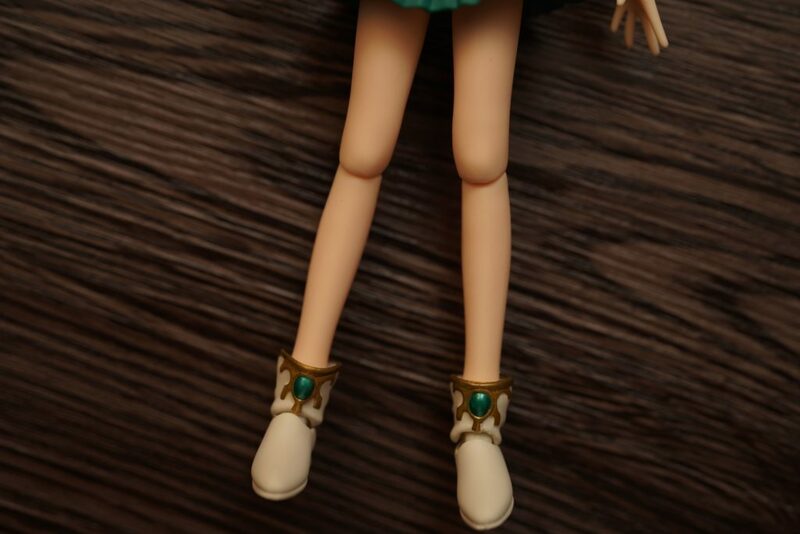 As I said before in previous figma reviews – I really liked how they manage to hide the knee and elbow joints. One limitation for this figure would probably be the foot articulation. 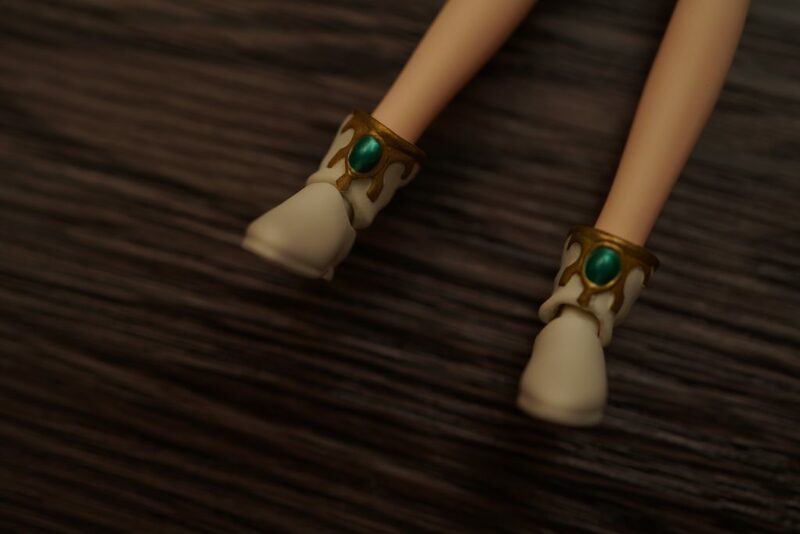 The foot piece from its suit cannot bent which makes it hard to position in some particular poses. 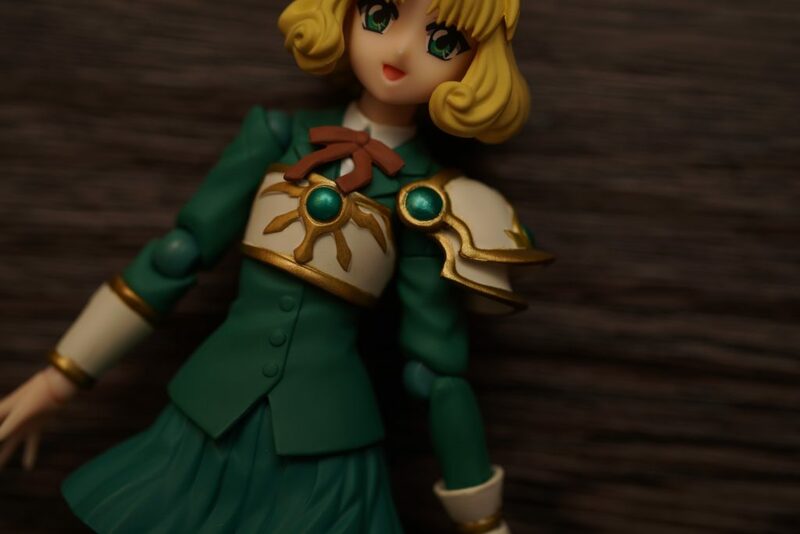 This is also similar to the Hikaru and Umi figures. The attention to the minute details on this figure is very remarkable. 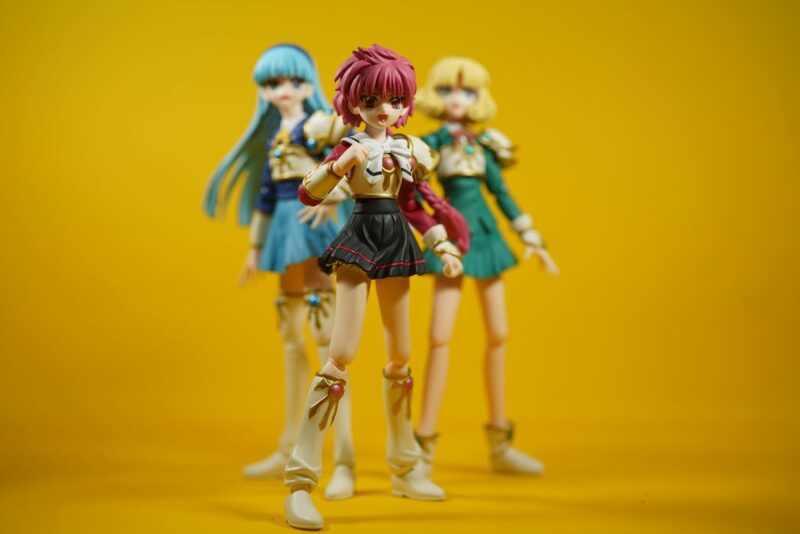 I liked how they’ve added motion to Fu’s skirt, making it appear that she’s in motion. 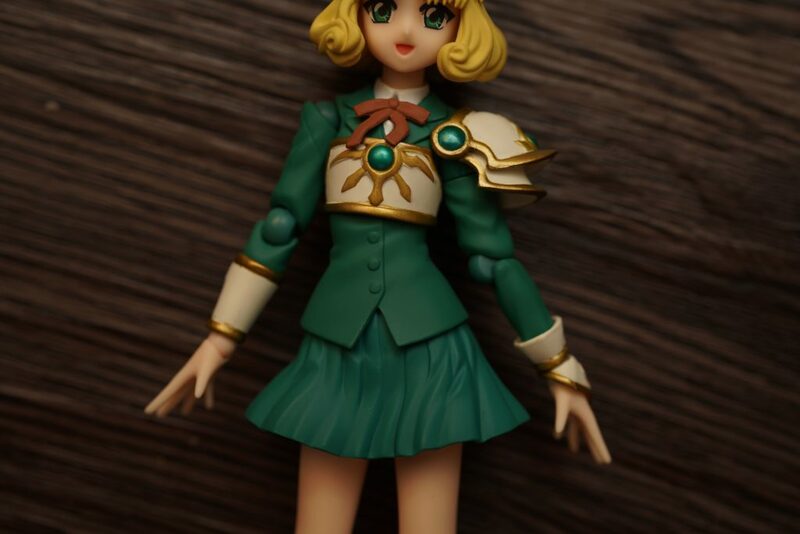 Also, I admire how the Good Smile Company did the paint job for this figure. 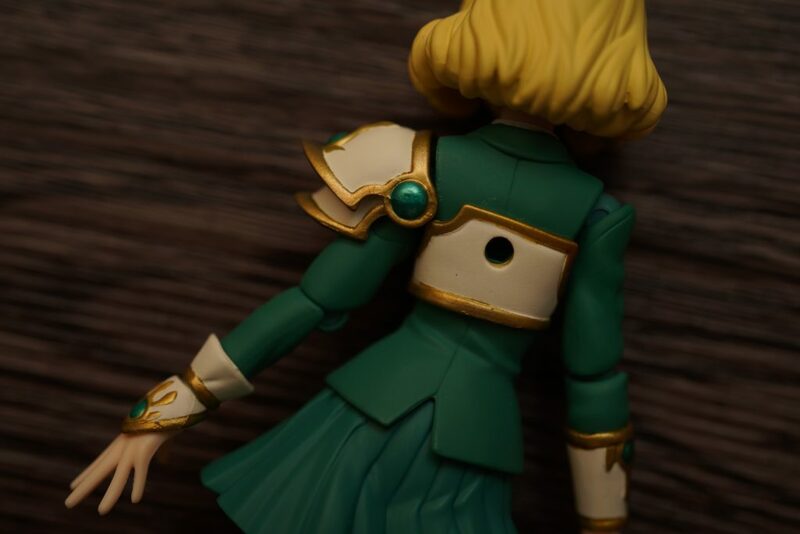 If you look at the ornaments from her suit – you’ll see the details on the paint and even the small textures in it. The face plates are also nicely painted. 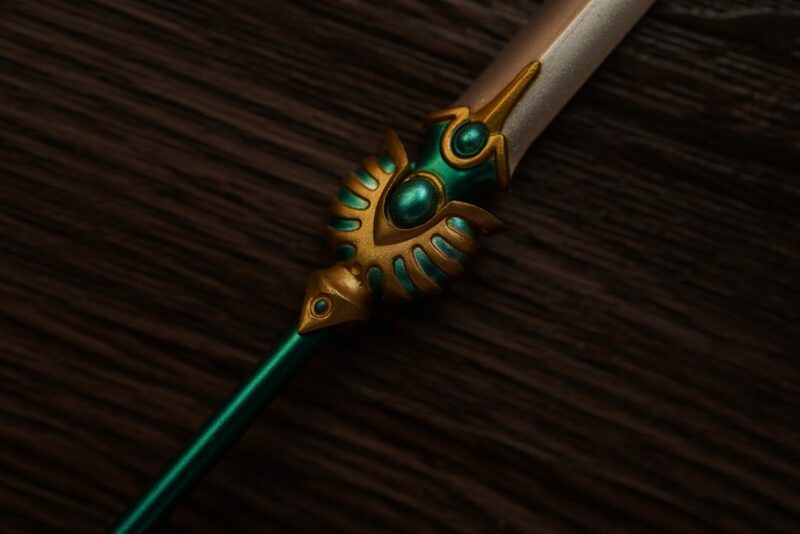 You’ll clearly see that all pieces are carefully painted and drawn. 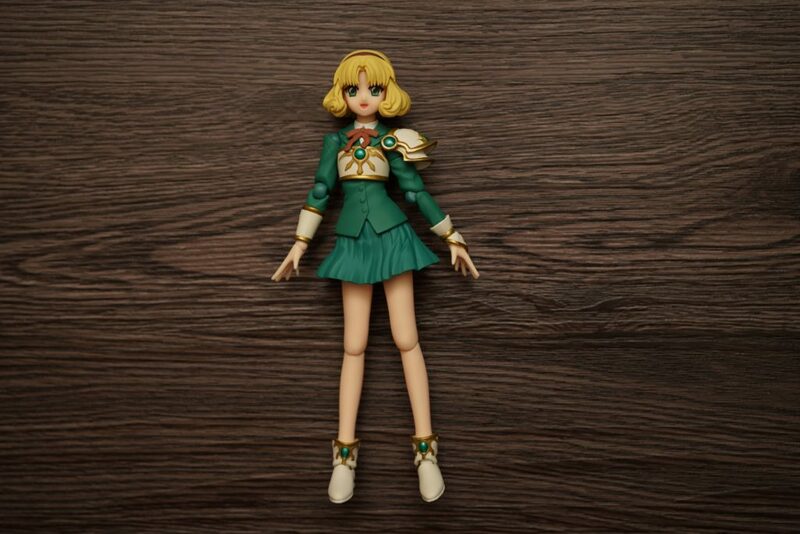 If you’ve already collected Hikaru and Umi, then getting this figure would be a no brainer for you. 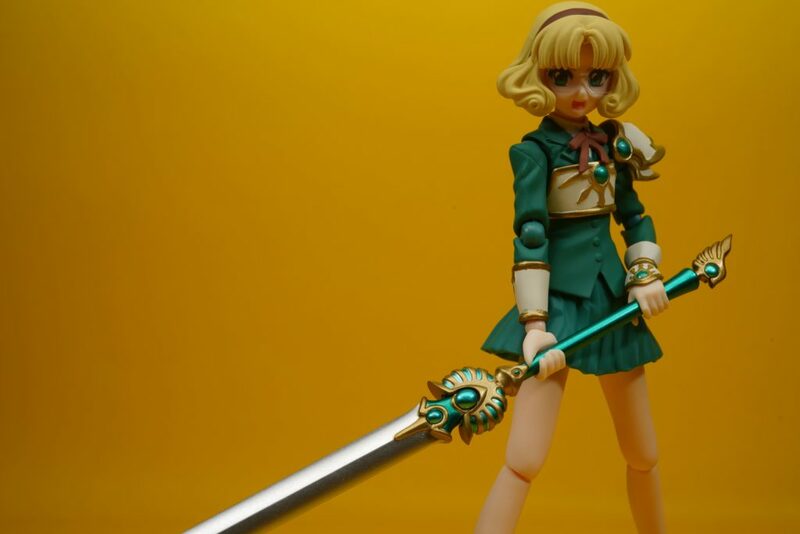 I highly recommend this figure because the details and the quality is really worth you money. 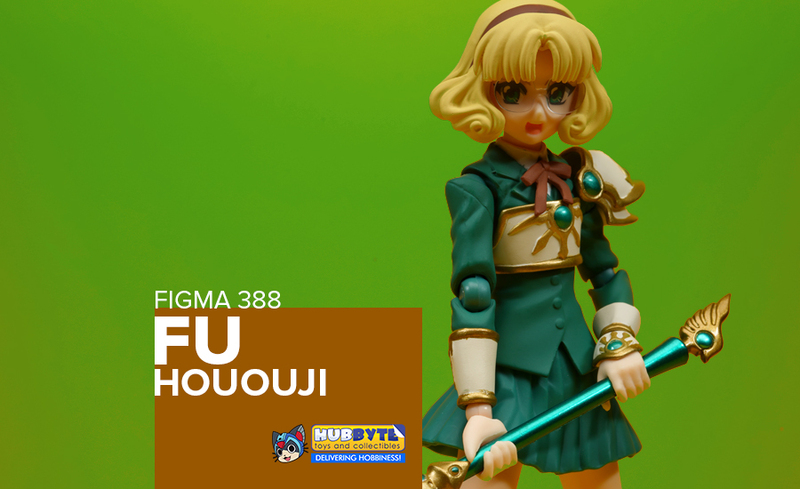 To get your own Figma Fu figure, visit Hubbyte Toy Store and order yours now! 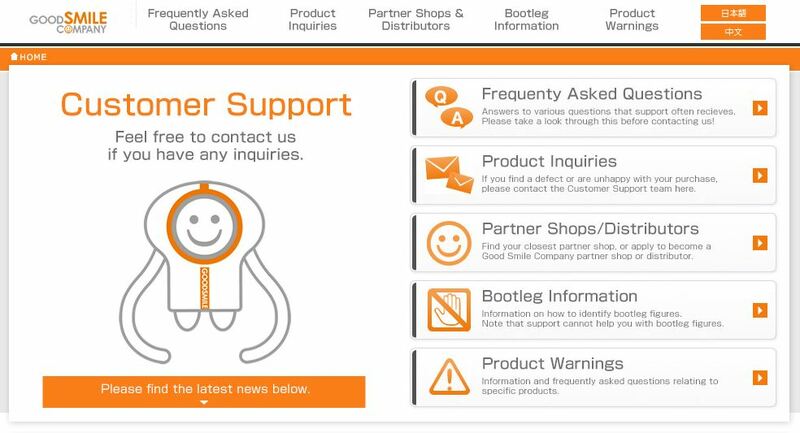 I would really like to commend The Good Smiles Company’s after sales service, their customer service is the best! 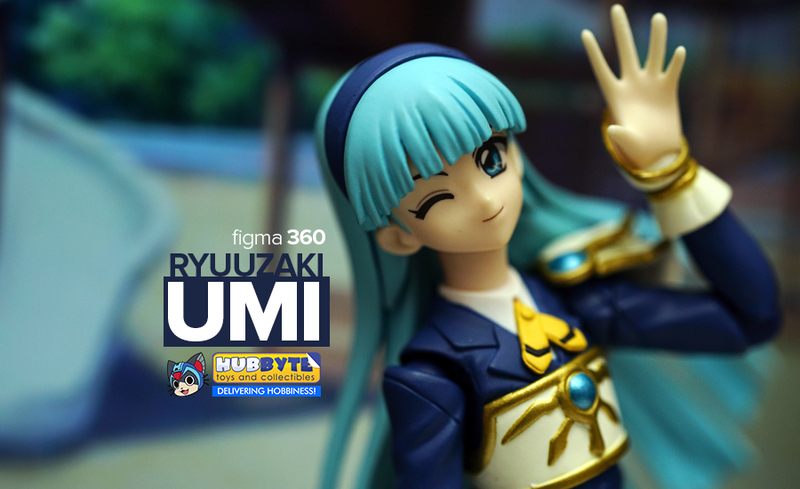 I had to report a defect regarding Umi’s hands as the plastic parts are quite damaged so I emailed my query to their site and without any additional requirements, they granted the part replacement for free. 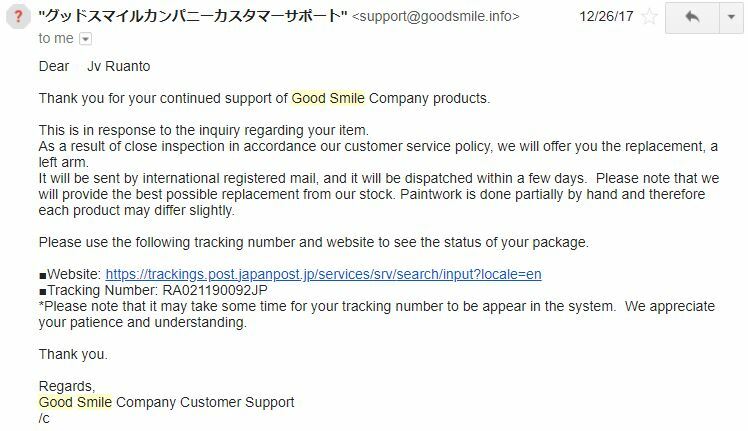 This service really makes me patronize all products from The Good Smile Company. 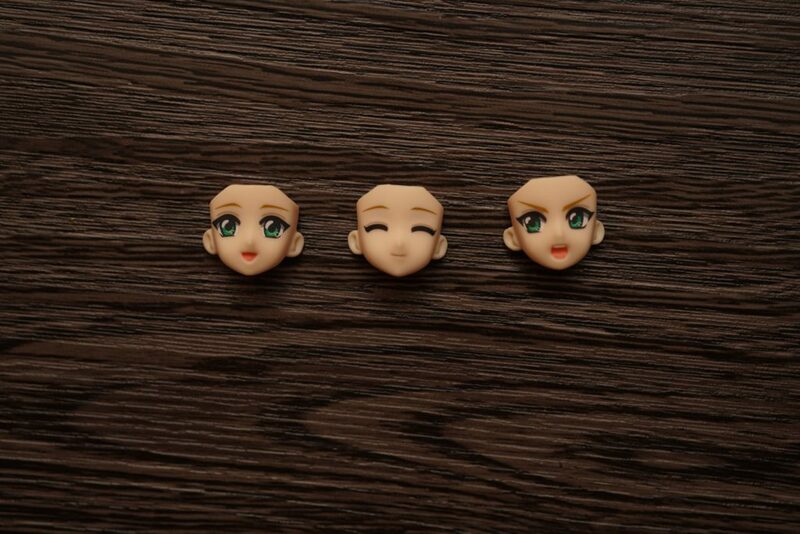 If you have issues on your figma or Nendoroid figures, you may directly fill up the form in their product inquiry page or you may visit their website – just make sure that your figures are bought from legitimate and accredited vendors by The Good Smile Company.